New Delhi: Relations between India and her southern maritime neighbour – the Maldives – are undoubtedly going through a strained period. So it was quite surprising for the Indian military delegation at recent the Defence Services Exhibition in Kuala Lumpur to receive a request for a meeting from Ahmed Shiyam, the head of the Maldivian National Defence Force (MNDF). The platform was the Defence Services Asia (DSA) 2018 event in Malaysia, which was held between April 16 and 19. India was represented by Lt Gen P.S. Rajeshwar, according to the DSA list of attendees. Sources said that once a request for a separate bilateral meeting was received from the MNDF chief, messages were sent to New Delhi on guidance, since relations between the two countries are not at their best right now. South Block gave the green light and a meeting took place between the MNDF chief and the senior Indian army officer. According to sources, there were no substantial discussions during the meeting. The tête-à-tête was largely confined to the MNDF chief expressing appreciation for India’s help in the capacity building of the Maldivian security forces. However, it was still a significant interaction as the Maldives had earlier refused to take part in India’s Milan exercises and Defence Expo. The Maldivian government had claimed that the MNDF was unable to participate due to its duties during the state of emergency. The rare visit by the Pakistani army chief, Qamar Javed Bajwa, to Malé soon after the state of emergency was lifted had also raised eyebrows. The disquiet was compounded by the fact that Bajwa suggested joint EEZ patrolling during his meeting with defence minister Adam Shareef Umar. India and the Maldives had a significant diplomatic spat over the Supreme Court’s February 1 judgment that precipitated the imposition of the state of emergency in the island nation. The last public exchange had been over India’s statement after the end of emergency, which the Maldives had said was “not helpful”. According to sources, the request for a meeting from the MNDF chief may have been done to show that it was business as usual in relations with India. 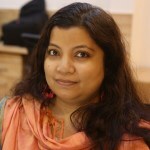 While the conversation was polite and friendly, the Indian side was not ready to go all the way. The Maldivians had asked for a photo-op at the meeting, but this was denied by India. On Vesak, an important Sri Lankan festival, Buddhists commemorate the birth, enlightenment and death of the Buddha. 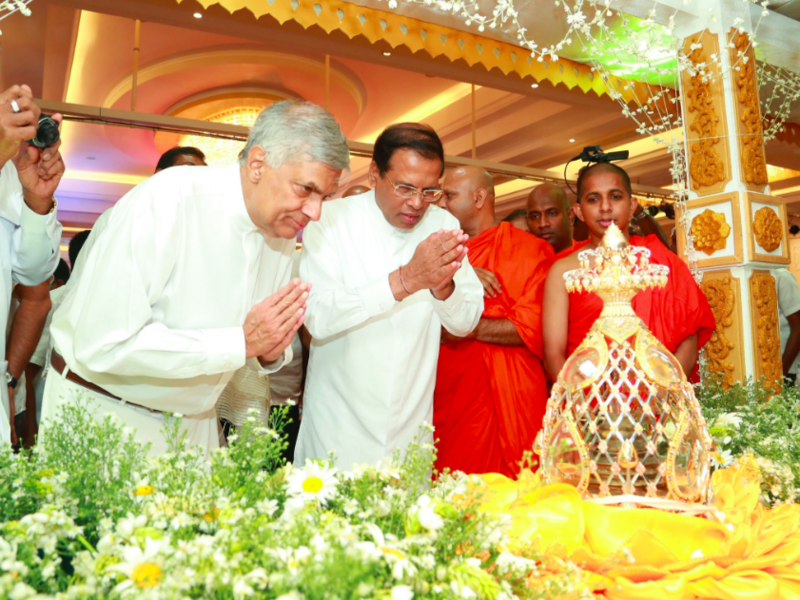 It is also an opportunity for the Sri Lankan government to showcase its political and diplomatic muscle, with Colombo vying to get sacred relics from other countries to be displayed for public veneration during this period. 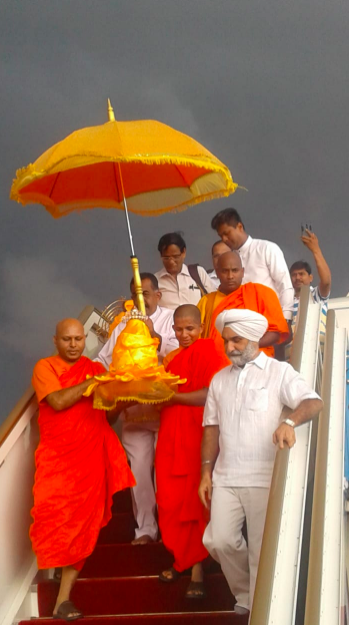 This year, India sent two sacred relics from Sarnath to Sri Lanka for the first time. According to the Indian high commission, “the sacred relics of Sarnath are yet another manifestation of the shared Buddhist heritage of India and Sri Lanka, which forms a spiritual bond between our two nations”. Earlier, India had sent sacred relics from Kapilavastu in 2012 to mark 2,600 years of Lord Buddha’s enlightenment. Last year, Indian Prime Minister Narendra Modi was himself in Sri Lanka for the Vesak celebrations and had gifted them 16,000 paraffin candles. Buddhist diplomacy has been a part of India’s repertoire, with the NDA government holding seminars and workshops through affiliated organisations to highlight the religious linkage. However, this year, there was a bit of a regional rivalry. When the Indian sacred relics reached Sri Lanka, two holy relics sent by the Pakistan government were also received in Colombo. This is the second time that Pakistan has sent relics to Sri Lanka – but the first time that it has coincided with the sojourn of Indian relics. These relics were excavated from the largest stupa at Taxila. However, there were doubts from certain quarters in Colombo and Delhi on the “authenticity” of the relics from Pakistan. Publicly, there were no statements about the Pakistani relics, but apparently there were behind-the-scene mutterings about the genuineness of the relics among the main Buddhist associations. 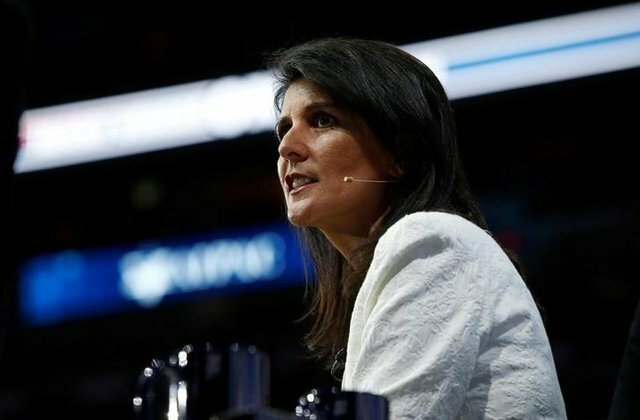 Earlier this year, Foreign Policy reported that US permanent representative to the UN, Nikki Haley, wanted to link foreign assistance with countries’ voting records on issues important for Washington in the world body. Haley had been aggressive in indicating that she would be “taking names” against countries whose votes do not align with the US. After the UN General Assembly voted on a resolution criticising President Donald Trump’s plan to shift US embassy to Jerusalem in December 2017, there was another upsurge in interest in cutting foreign aid. Since 1984, the US State Department has been publishing a report every spring comparing the US’s voting record with that of other countries. The latest report, which analyses voting records of UN members in 2017, tweaks the methodology to include abstentions when comparing how a country votes for General Assembly and Security Council resolutions. As per the new formula, the overall voting coincidence for the rest of the world with the US in all UNGA resolutions is 31%. This is a dip from 41% (or 37% as per the new method) in 2016. Using the new methodology, the global voting coincidence with the US in all UN General Assembly was 31% in 2017, which was a dip from 41% in 2016. The difference in opinion between the US and the rest of the world becomes even more on Israel-related resolutions, with just 15% voting coincidence. This figure, however, does go up to 49%, when it comes to “important” UN resolutions. It is defined as “votes on issues which directly affected important United States interests and on which the United States lobbied extensively”. India’s individual numbers have been typically below average. India’s voting positions aligned with US in only 25% of UN resolutions. There was more alignment on the “important” UN resolutions at 38% – still well below the global average. On Israel related resolutions, India’s ‘voting coincidence’ with US stood at 7%. India’s voting record has remained consistent in the UN across governments. Under the UPA government in 2013, India’s ‘voting coincidence’ for Israel-related resolutions, ‘important’ votes and overall was zero, 25% and 27.4%, respectively. At the same time, a comparison with the first year, 1983, the report for the US Congress that was prepared shows some dramatic changes. 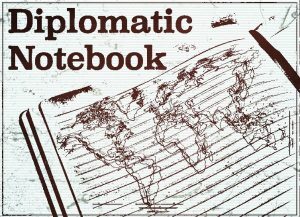 In 1983, the list of voting blocs in UN included the Warsaw Pact and India’s voting coincidence with US votes was 16.4%. The state department reportedly listed ten ‘key issues’, which included resolutions condemning the withdrawal of foreign forces from Afghanistan, Cambodia (then Kampuchea), intervention in Grenada and El Salvador human rights policy. There were also three resolutions which directly attacked the US for violating arms embargo against South Africa, for collaborating on nuclear matters with the apartheid state and for providing assistance to Israel. 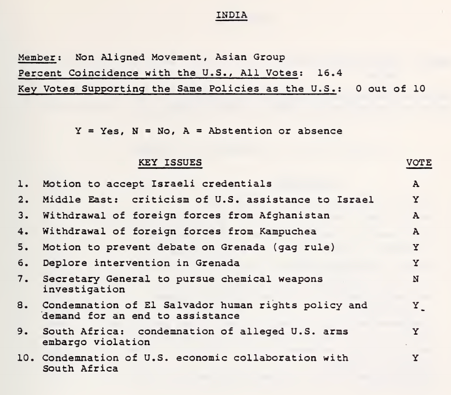 Not surprisingly, India did not vote in line with US position in any of the ten ‘key votes’ in 1983. India had abstained on the resolutions calling for withdrawal of foreign forces in Afghanistan and Cambodia. Indian diplomats voted in favour of resolutions that directly and indirectly criticised the US’s relations with South Africa, Grenada, Israel and El Salvador. The sole negative vote among the ten was for a resolution that called on the UN Secretary General to pursue investigation against countries for violating the 1925 protocol on prohibition of use of chemical and biological weapons.